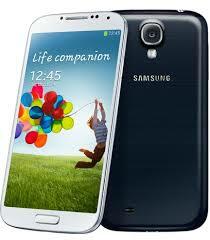 Verizon has released latest update for Samsung Galaxy S4. It is not Android 4.4 KitKat yet but a usual improvement update. You can now update Galaxy S4 to JSS15J.I545VRUEMK2 official update. You can update your Samsung Galaxy S4 to the latest VRUEMK2 update from Settings > More > About Phone > System update > Check for updates. You might not have received this update yet. It usually takes the carriers a few days for a complete update roll out. It is been a month since Samsung Galaxy S4 received Android 4.3 JB update on Verizon. This update will improve data roaming in Canada and Mexico and will bring better connection for the enterprise proxy servers. According to the changelog from Verizon, Galaxy S4 OTA update brings some email connectivity improvements too. The latest JSS15J.I545VRUEMK2 update for Verizon Galaxy S4 is rolling out in stages which means that it might take a few days for you to be able to update to this latest Verizon update. If you go forward with a manual update, make sure to check the prerequisites before you update Galaxy S4 to JSS15J.I545VRUEMK2 OTA update. Take backup of your important data, enable USB debugging, and charge your device to at least 60% before you start the flashing process.